Complete 1915-S Panaman-Pacific commemorative coin sets were offered multiple times to Walter Nichols during the 1930s and the prices for these complete sets (containing the half dollar, gold dollar, gold quarter eagle and one each gold $50 round and gold $50 octagonal) ranged from $350 to $460. The book "An Inside View of the Coin Hobby in the 1930s: The Walter P. Nichols File" was published in 1984 by Bowers and Merena and it contains the collected numismatic correspondence of Walter Nichols. 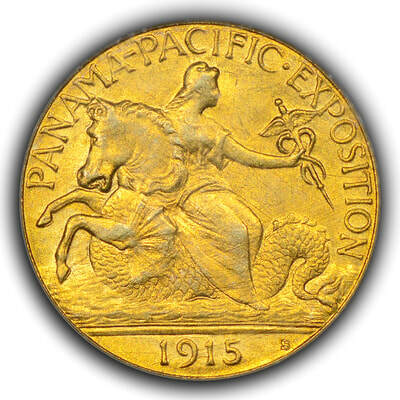 It seems that Nichols’ father-in-law was S. Benton Emery, who had amassed a large collection of 19th and early 20th century proof coinage. Nichols kept this collection intact and added significantly to it. Many of the additions occurred in the 1930s, while the nation was in a deep depression, but while Nichols job as a CPA kept him employed and financially sound. The book is slanted toward the correspondence that Nichols received rather than sent, which should not be too surprising given this was in an era where duplicate copies were not the norm. This leaves the reader with a type of one-sided conversation and one wonders if Nichols thought certain prices were too high on the coins offered or if he were scrambling to purchase other deals. The book covers letters form 1931 through 1941 and ends rather abruptly and sadly with the death of Walter Nichols from stomach cancer in 1941. The earlier years, from 1931 through 1934, show the acquisition of minor coinage, cents and currency while the latter years are concerned primarily with the commemorative half dollar series. There are some amazing things to be read. ​Nichols was offered a complete Panama-Pacific framed set from Scott Stamp and Coin for $390, which would have been delivered to his bank until his check cleared and then the bank would have delivered it to him. It seems he had a fascination with this set and he had the opportunity to acquire another set in bronze frame with purple cards, gold lettering and plush backing for $460. This set was offered by MH Bolender where Bolender described it as being “in perfect condition”. Additional sets, with or without original packaging, could be had for $350, $375 and $425 from other sources. Another fascinating tidbit to think about was the cooperation exhibited by the various Federal Reserve banks and the Treasury Department. Correspondence with the banks and Treasury Department illustrated that the Kansas City, Cleveland and Minneapolis banks offered to go through their inventories of recalled or retired currency and to ship to Nichols, at face value, the most desirable and/or expensive pieces that were in their vaults. It is difficult to imagine that type of proactive help today. 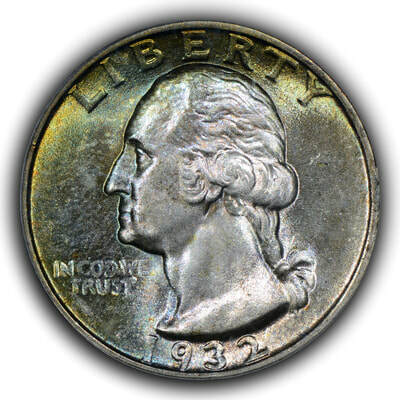 Even more difficult to imagine is the the Treasury Department offered at face value mint state coins from various mints and denominations, produced throughout the 1920s, which were still in Treasury Department vaults. 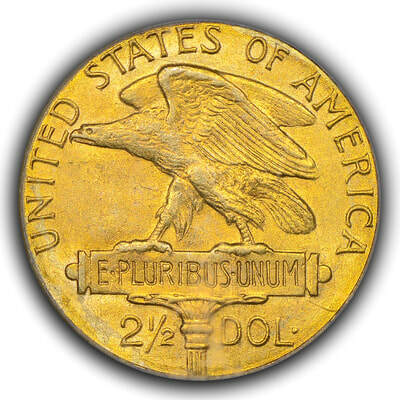 Nichols also purchased uncirculated fractional currency directly from the Treasury Department and paid for four examples each of mint state 1932 Philadelphia, Denver and San Francisco Washington quarters using postage stamps. 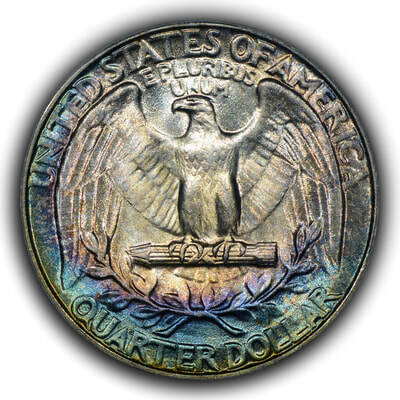 A gem 1932 Washington quarter; might Walter Nichols have purchased this coin, and similar coins produced at the Denver and San Francisco mints, from the Treasury Department for 25-cents each in postage stamps? However, by 1935 the tide of correspondence had changed to involve almost exclusively the various commemorative half dollar programs. 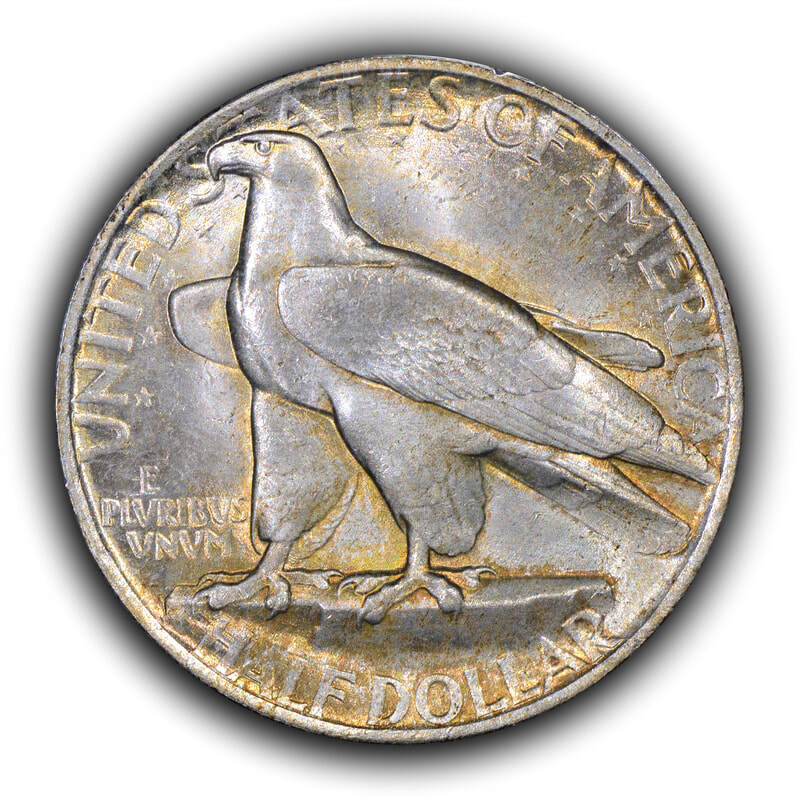 Nichols was involved in acquiring and selling multiple examples of each new coin and then went on to organize and oversee the distribution of the York County commemorative half dollar. 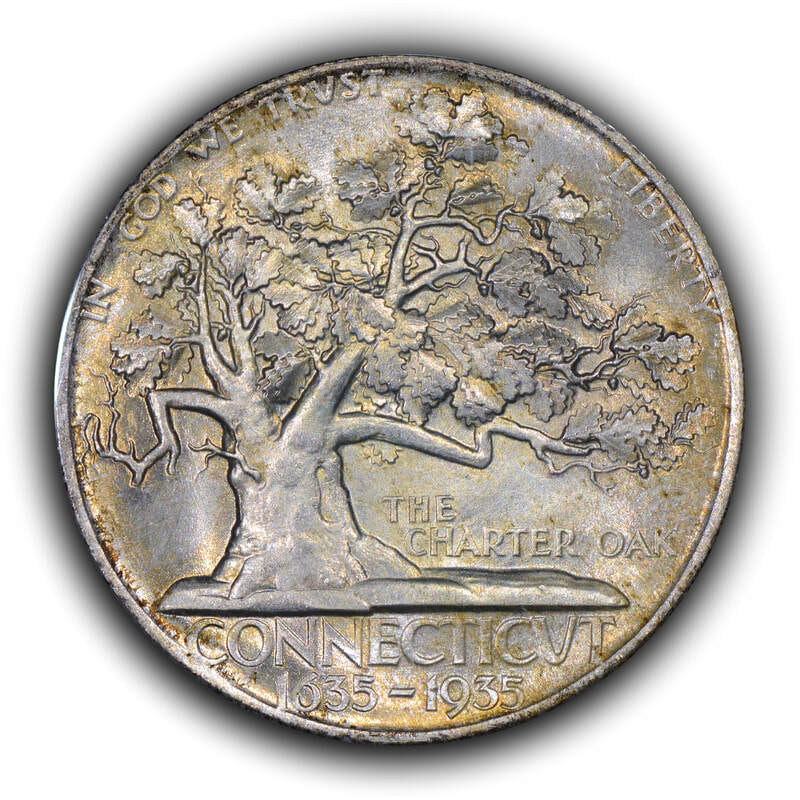 The distribution of the York County half dollar was widely considered equitable and a great success, like that of the Connecticut half dollar (pictured below) while other issues including the Providence (Rhode Island) half dollar were shown to be manipulated and abusive toward the common collector. 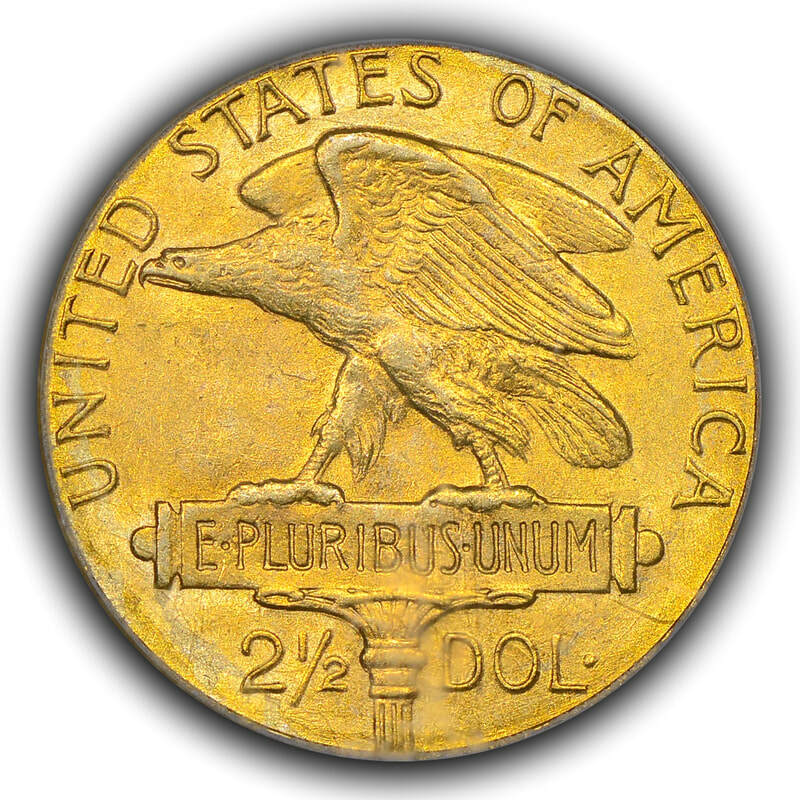 The inner workings of commemorative half dollar legislation, distribution and profits are glimpsed in these letters and one can see how many organizations, states and other special interests suddenly found this golden goose too delectable to let survive. The Connecticut commemorative half dollar enjoyed a reputation for being equitably distributed just as the York County commemorative half dollar distribution, chaired by Walter Nichols, was hailed. 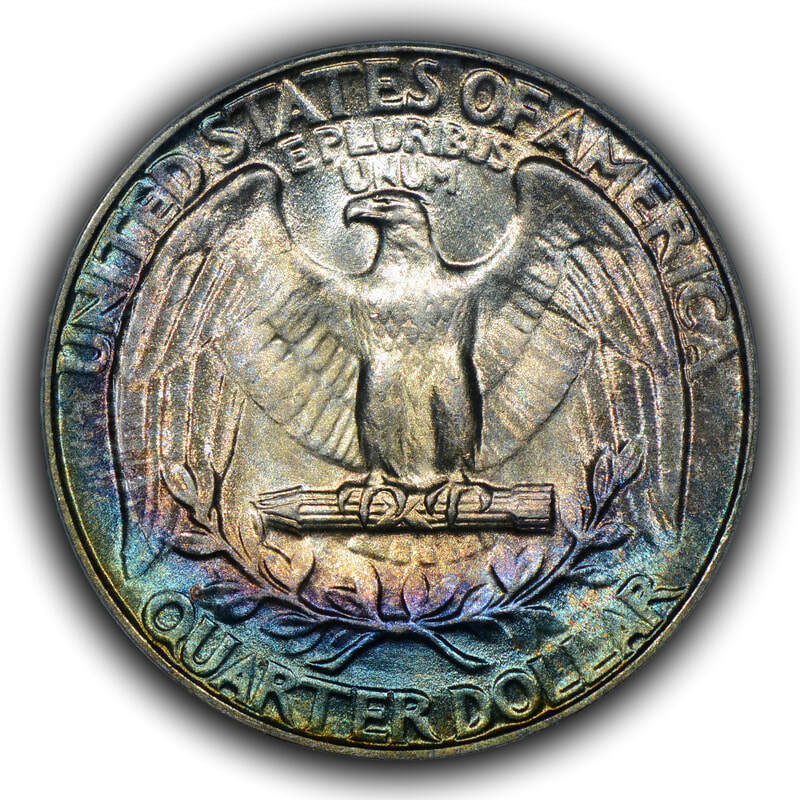 This is in stark contrast to more abusive issues such as the Providence (Rhode Island) issue, which created great angst and negative feelings for the general commemorative half dollar collector. "I rather lost my enthusiasm for commemorative coins as just as I had the collection complete they began to bring out new numbers so fast that I cannot keep track of them." "I am not at all interested in the "souvenir" half dollars. Now it has developed into a "racket", same as stamps." "I suppose you have a good stock of the "rare" commemoratives that have been made to order in the past few months. According to what I hear, the Rhode Islands are going to make a record, and incidentally, a small fortune for Horace Grant." The last few years of the correspondence returns back (somewhat) to the earlier quest for currency, Lincoln and Indian Head cents and the purchase of gold coinage from banks at or near face value. There also enters into the picture the inner workings of the ANA and how the politics of the day with respect to ANA offices was unfolding. It appears that Walter Nichols was respected by many and disliked by few, which might be an odd way to endorse someone but it appears to be how he was being groomed to possibly become President of the ANA. Alas, his illness took root and within a few short years he had passed from cancer. This book is long out of print, is in excess of 140-pages and can be purchased (when found) for a truly minimal sum. I might have purchased my copy nearly two decades ago and my records indicate that I spent all of $3.74 to buy it used. If you like history and like to read what folks were thinking "back in the day" then this book is a very worthwhile read.